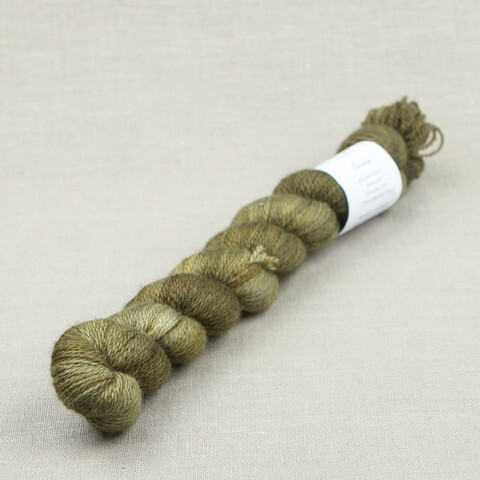 This yarn has been dyed in shades of light yellowy green. The colorway "Jalava (Elm)" is included in the regular colors of the Lair's color charts. 50 g / approx. 275 m (1 ¾ oz = approx. 301 yds).